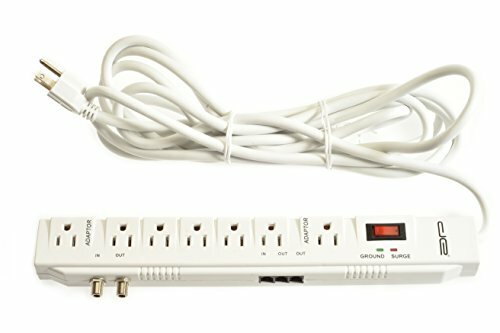 Prevent damage to your devices with the DE 7-Outlet 15 Foot Long Surge Protector Power Strip. Featuring 7 Protected Outlets, the DE Surge Protector Power Strip is perfect for your entertainment needs while providing safety from swells, spikes, and voltage fluctuations. Keep your devices safe. ✅ LIFETIME WARRANTY - 100% money back guarantee. If you have any questions about this product by Digital Energy, contact us by completing and submitting the form below. If you are looking for a specif part number, please include it with your message.